Fall and winter are possibly the two most beautiful seasons. You can hike under the changing leaves, or sled down a local hill. No matter what you like to do, there’s something for everyone at the end of the year. But, like most things in life, there’s a flip side. Frigid weather and screaming winds can create hostile conditions that can be quite dangerous without the proper preparation, knowledge and gear. So, before you hop in the car to drive to the forest and check out the fall foliage, run down this checklist and be sure you are ready for whatever Mother Nature might throw at you. Whether you stayed out in the woods too long, or your car won’t start and the sun’s going down, having an extra layer stowed in your car is a handy prep that could save your life. Even if you just want to save a little gas money and keep the car off while you watch the stars at night, that extra blanket or jacket is easy to pack into the car, and if you need it, you’ll be grateful you were so smart ahead of time. No adventure is complete without at least a basic first aid kit. Bandages, compression wraps, antibiotic ointment, allergy tablets, aspirin, and a few other over-the-counter drugstore items can be thrown into an old purse or pencil box to make a simple, easy-to-store first aid kit for your car. You could also go whole-hog and buy a pre-stocked kit from the store, but it is very simple to put one together yourself, as well. What happens if you get a flat tire at night? What if you drop something under your seat, and the dome light is acting up again? What if you can’t find your car in that sleazy parking lot after the movie? Flashlights are good for a ton of things, even self-defense. No car is fully prepped without one. Just make sure you have extra batteries. And whenever you use the flashlight, make a note to change and replace the batteries when you get home. Jumper cables don’t cost much, so make sure your car has some before you head out anywhere this winter. 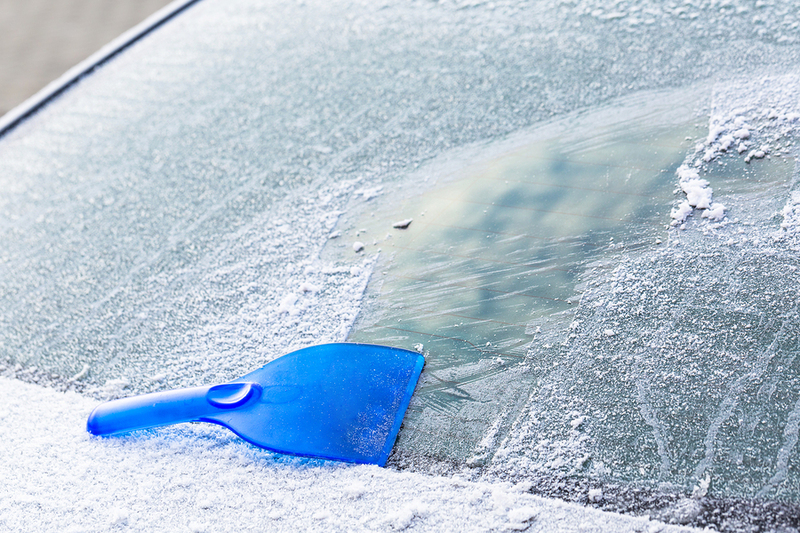 Cars are notorious for refusing to start in the coldest temperatures. Having your own jumper cables means you only need someone else with a running car and you can be on your way sooner rather than later! Also make sure you have a jack and lug wrench to fit your particular vehicle. A couple of screwdrivers, both Phillips and flathead, might also be nice. It probably goes without saying, but don’t go without a car charger for your phone! If you ever need to signal for help, you will be glad you have more than just your flashlight on hand. Reflective gear is ideal for any time you are working outside your car in dim or dark conditions. Having these items is just an extra layer of security for those (hopefully) few emergency situations. Most of all, know your plan ahead of time, and be prepared for multiple events. What do you do if you have a flat tire? What if your tire blows running down the highway? What if your car won’t start in the parking lot? Make your plans, and memorize them to the best of your ability, long before you ever need them, and you’ll never be up the creek without a paddle. These Weather Safety tips should be used year round. For more info contact us!